Yoga and meditation retreats, classes, courses and programs in Perth, Western Australia, and the power and spiritual centres of India, Bali, Greece and Australia. Everything is taken care of by experienced, caring teachers, so you can focus on the inspiring and transformative practices of yoga, meditation and healing. 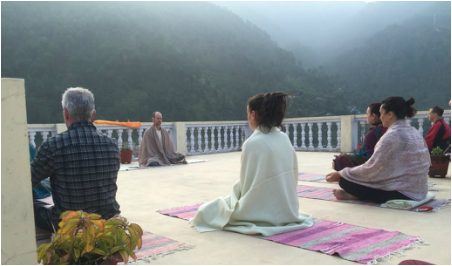 ﻿﻿Kookaburra Yoga offer a range of experiences from one day retreats and personalised yoga stays at our beautiful bush studio in the Perth hills - to 5 day relaxation retreats in Bali - to 3 week Yoga and Meditation Journeys to India, the spiritual heart of yoga. Programs are carefully designed to support you to deeply experience and realise the profoundly transformative and healing intent of yoga and meditation.Facilitated by teachers with decades experience. 1 Day Retreats at Kookaburra Creek, Perth hills. Includes yoga, nature meditation, Sound Healing Journey, sacred silence, delicious vegan food.